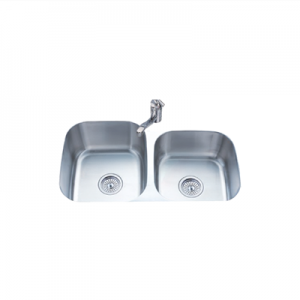 The PL-8105 Double Bowl Undermount Stainless Steel Kitchen Sink will add style and versatility to your kitchen. Made with 304 Grade stainless steel, this sink was designed to last. This stainless steel double bowl sink is ideal for any kitchen. You’ll love the classic satin finish. When you want style and versatility in your kitchen, then there’s no better option than this timeless kitchen sink. This sink was made with high-quality stainless steel and is finished with satin. This classic, beautiful sink will never go out of style, and since it is a double bowl sink, it makes it easy to cook, clean and do anything else! Shop with us at Fiberpol in Barbados today to order yours!